In May 2015, a molecular microbiology study was published in the Proceedings of the National Academy of Sciences (1). This study showed that gut bacteria could be DNA ‘fingerprinted,’ as their DNA sequences were shown to represent a unique form of identification in more than 80% of individuals examined (1). This study has little to do with ‘CSI’-style forensic identification but does have implications for our health, diet, development and genetics and our ability to defend ourselves from true microbial pathogens (1). That the human body is believed to contain ten times more microbial cells than human cells (trillions of them) can be an uncomfortable thought. Even more remarkable is that, in terms of numbers, the population of these microbes accounts for up to 90% of the total number of cells associated with our bodies. Our human microbial population weighs between 1% and 3% of our total body mass (1.5 kg); this is equivalent to the weight of the largest human internal organ, the liver (2). The terminology of the body’s flora and fauna can be confusing. This could be why someone, probably working in advertising, came up with the phrase ‘friendly bacteria.’ The term ‘microbiota’ is the collective noun that refers to the viruses, fungi and bacteria that inhabit our bodies, mainly in our gut and on the surface of our skin. The microbiota has a commensal and a symbiotic relationship with us. The term, ‘microbiome’ is used to refer to the collection of the genomes of these microbes. These two names, ‘microbiota’ and ‘microbiome,’ are often used interchangeably. 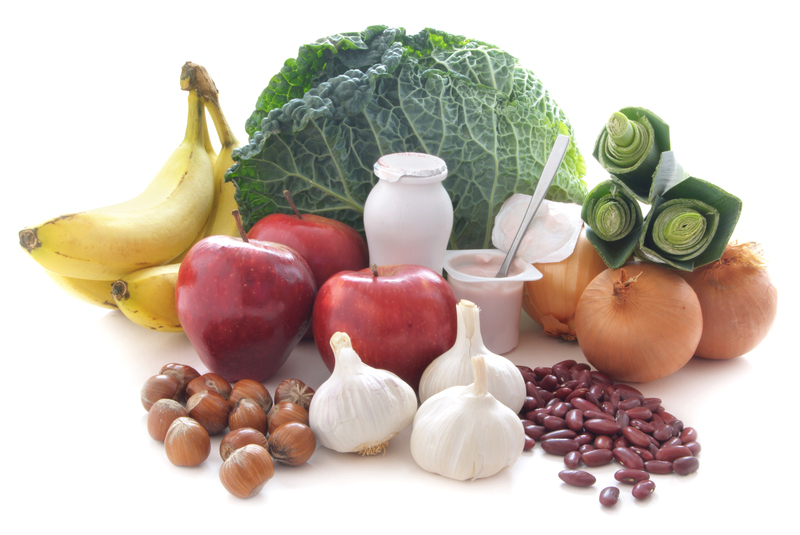 As with the dietary anti-oxidant ‘industry’ that arose from cardiovascular research in the 1980’s, the food industry has been swift to promote the sales of dietary probiotic supplements. Global sales of probiotics have been reported as £13.6 billion ($21.6 billion USD) in 2010 and are expected to exceed £19.6 billion ($31.1 billion USD) during 2015 (3). In February 2015, an editorial collaboration between the journals, Nature and Scientific American, resulted in the publication of a series of special reports entitled, Innovations in the Microbiome(4) These and other recent publications have helped to place the importance of the normal human microbial population further into the medical spotlight. For almost a century, epidemiological studies have shown that diet has a profound effect on human health. Recently, the link has been made between diet and the gut microbiota, with emphasis on the effects that a ‘western’ diet of refined foods and high protein have on these organisms. 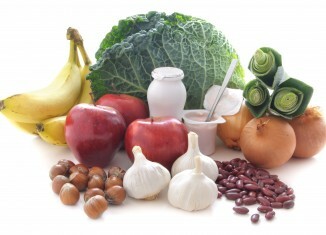 In 2011, a study linked long-term dietary patterns to changing gut bacterial enterotypes in humans (5). In 2014, a study in wild mice clearly demonstrated that dietary change can induce gut bacterial ‘enterotype switches’ within hosts (6). ‘Biome reconstitution’ has been proposed as a treatment approach to immune disorders, including allergy and autoimmune disease and to preventing colonic cancer, obesity, diabetes, and metabolic disease (7, 8). In the past ten years, sequencing technologies have allowed the development of a detailed reference database of the diverse microbes that inhabit our bodies. In 2007, in the US, the National Institutes of Health (NIH) Human Microbiome Project (HMP) Consortium was launched, consisting of more than 200 members, from nearly 80 universities and scientific institutions (9). In its 2012 report, the HMP listed the major ways in which knowledge of the human microbiome may change the future of science and medicine (10). The HMP has considered the potential privacy issues surrounding knowledge of the individual microbiome, the flow between human microbes and those found in nature (in water and soil) (10). The microbiome data now being gathered may form the basis for a ‘personalised’ approach to improving individual microbial populations. Most importantly, solutions to microbial antibiotic resistance may be found through increasing knowledge of microbial interactions. At this same time comes the realisation that overuse of antibiotics, as part of our ‘war on germs’ mentality, has allowed true microbial pathogens to develop antibiotic resistance. The lack of a functioning and complete personal microbial population leaves us vulnerable to bacterial pathogens that we may be increasingly less able to fight. In 2013, the Chief Medical Officer for England highlighted the increasing problem of antibiotic resistance. These concerns led to the Department of Health launching a five-year Antimicrobial Resistance (AMR) Strategy, which is supported by NHS England’s Antibiotic Awareness Campaign (11,12). In October 2014, Public Health England produced the first report on the English Surveillance Programme for Antimicrobial Utilisation and Resistance (ESPAUR) (13). These latest initiatives by the medical profession and healthcare regulators to reduce antibiotic prescribing is just one approach that has to be made. The European Molecular Biology Laboratory (EMBL) annual conference, held in Heidelberg in June 2015, was devoted to the topic of the Human Microbiome (14). This meeting included discussions on the design of possible therapeutic or dietary interventions to prevent and treat disease. An announcement was made at the meeting of the first results from the Personalised Nutrition Project, run by research groups in Israel (15). The u-Biome Project is a crowdfunded ‘citizen science’ initiative that is set to analyse the microbiome in the context of individual health and is currently recruiting participants (16). The rationale for learning more about the ‘normal’ or ‘optimal’ microbiome, and how to reconstitute or nurture it, is an important component of individual healthcare (17, 18). For the future development of interventions for resistant microbial pathogens, the human microbiota may play more than just a ‘friendly’ role, it may be life-saving. If you would like to comment on any of the issues raised by this article, particularly from your own experience or insight, Healthcare-Arena would welcome your views. Dinah’s medical degrees and postgraduate specialty training were done in Cambridge and Oxford, and her Ph.D. is from the University of Cambridge. She obtained her MRCPath in 1991. In 1999, she was awarded the FRCPath and was elected to the Fellowship of the American College of Chest Physicians (FCCP). Dinah has worked as a Senior Lecturer and NHS Consultant where she has held clinical, teaching, research and managerial roles. She has worked in the pharmaceutical industry as a Principal Pharmaceutical Physician and has worked with the BMJ as a Clinical Editor. Dinah has been publishing original peer-reviewed research for more than thirty years and reviews manuscripts for publication for several journals. She now works as a freelance medical and scientific writer, editor and consultant. Her LinkedIn profile and her online website contain details of her clinical and academic experience and publications. Comments are moderated and may not appear on the site immediately.